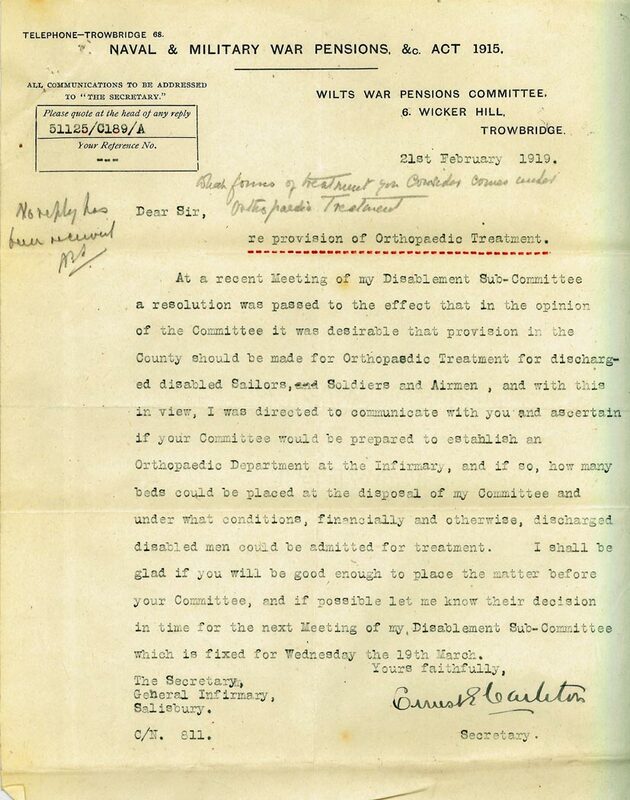 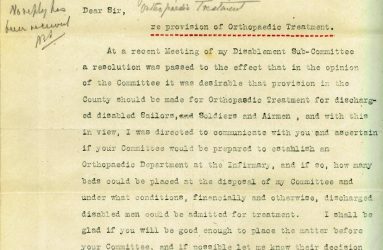 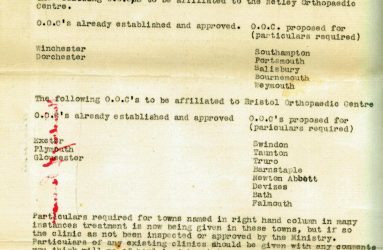 At the time it was considered important for local civil hospital services to be developed, as many of the military and VAD hospitals would no longer exist after the war and not be available to look after war pensioners’ ongoing needs. 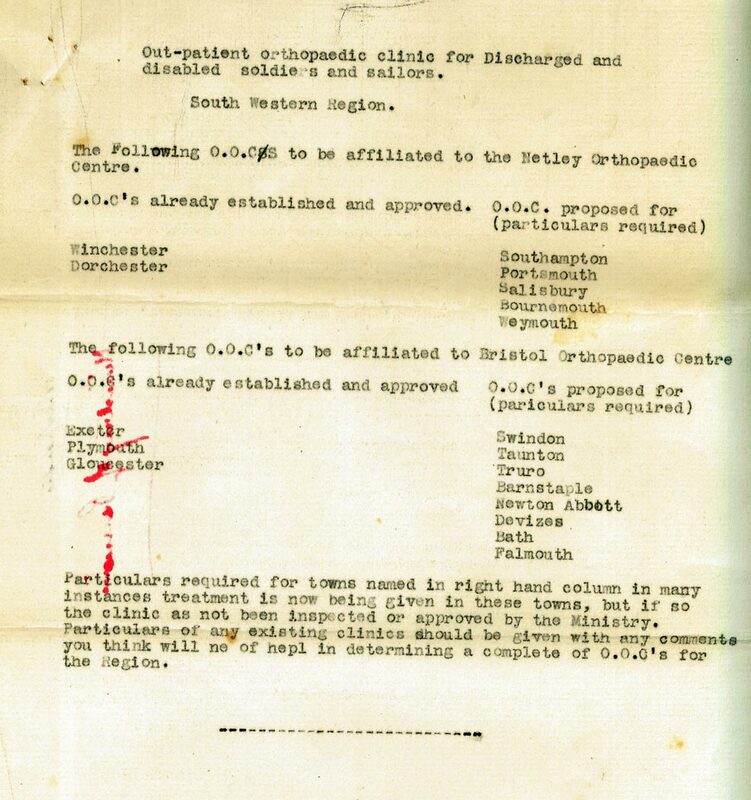 Salisbury General Infirmary was asked to provide outpatient facilities with a further provision for massage and electrical treatment. 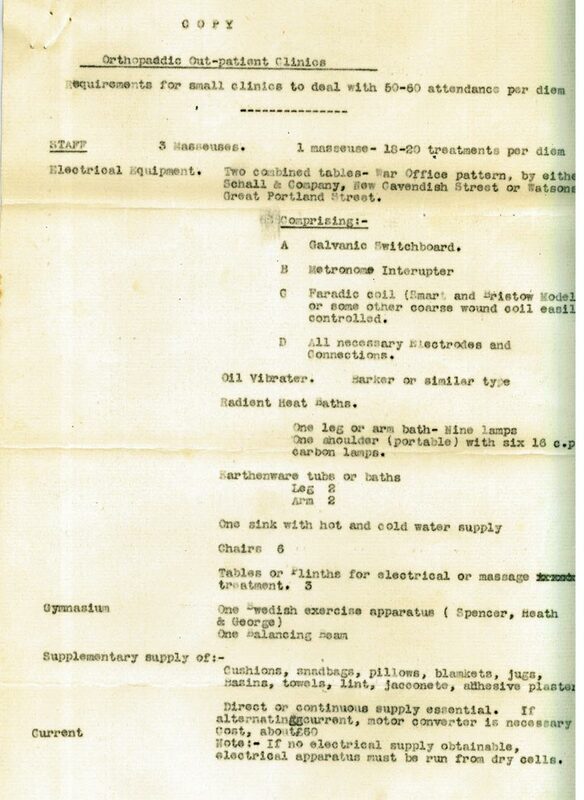 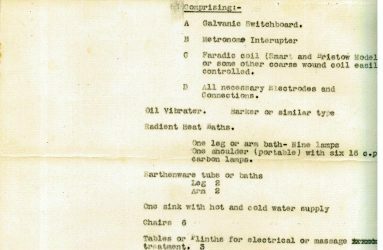 The documents pictured below show the list of equipment, apparatus and staffing needed by the Infirmary to set up the clinics.